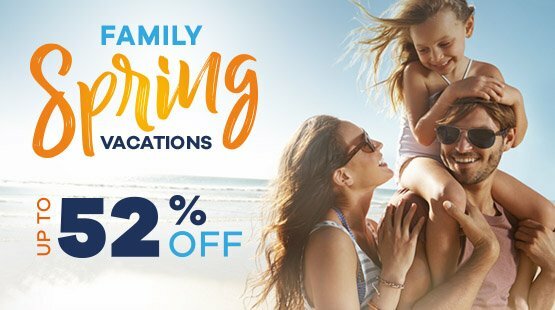 Take Advantage of St Maarten special offers to enjoy a paradise boasting gorgeous natural landscapes and all the exquisite services of a world class resort such as Simpson Bay Beach Resort & Marina. Simpson Bay Beach Resort & Marina is a Family-Oriented resort in one of the most beautiful Caribbean islands: St. Maarten. Nestled on a hillside overlooking Simpson Bay, the property boasts a privileged waterfront setting in a sheltered private beach within walking distance to other pristine landscapes with glittering Caribbean waters and white-sandy beaches, world class local restaurants, bars, casinos and shopping malls. 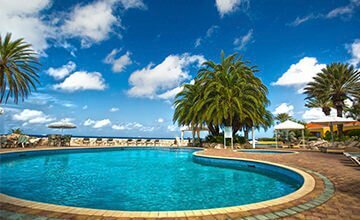 Make yourself at home in this captivating Caribbean islands hideaway with five pools, colorful and impeccable gardens and 336 spacious, air conditioned and fully equipped suites featuring kitchen, unbeatable amenities and all the services you could possibly need during your dream vacations in St. Maarten. 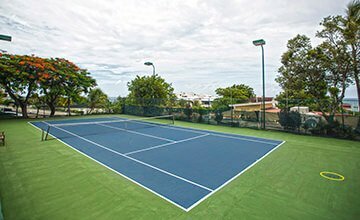 Enjoy a varied activity program for all ages, tennis courts, a spa, water sports, delicious dining and evening entertainment. Now is your time: head down to the bay for sunbathing and relaxation during the day, or dancing and toasting when the stars are lighting the night sky. WELCOME TO PARADISE. WELCOME HOME. "The Simpson Bay Resort in Sint Marteen is absolutely breathtaking, we just returned home and I am missing it already. The room was spacious and luxurious as it overlooked the Carribean Sea. I would recommend this resort to anyone at any age, with or without children. The staff is wonderful and the grounds are beautiful." Simpson Bay Resort and Marina back better than ever! "Compliments to management and employees for our best vacation ever. This is our 12th year at Simpson Bay Resort and Marina. The resort is back better than ever! Villas are spotless, employees are always smiling and helpful." "Resort was in great shape and still improving after last years hurricane. Can not be said for a lot of other resorts that have a long way to come to get back in shape. Could not have been any more pleased with this resort and its employees." Get the sleep and dreams of your life in a serene tropical setting somewhere in the Caribbean islands paradise with overwhelming ocean views. Enjoy an ultimate comfort experience. 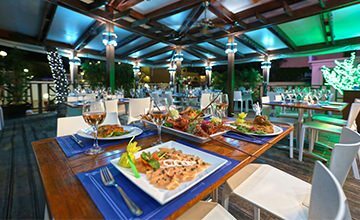 Be spoiled for choice and start your culinary journey in the Mecca of gastronomy in the Caribbean islands, onsite and offsite, and enjoy the fusion of dozens of nationalities. 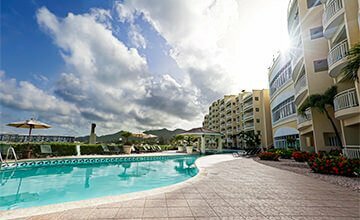 Unbeatable accommodation in St. Maarten complemented by extensive facilities and higher standard services that will give you everything you need during your Caribbean vacations. 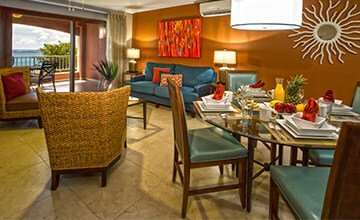 The Villas at Simpson Bay Beach Resort & Marina honors its excellence for hospitality with five star amenities on the front row for spectacular Caribbean sunsets. 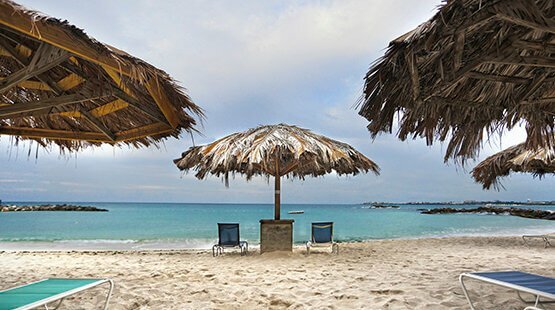 The resort is ideally located on the beach among St Maarten island’s most popular spots and malls. The Royal Sea Aquarium Resort, a singular but beautiful hotel in the heart of Curacao over a platform on Caribbean waters, attracts travelers thirsting for peace and nature. Enjoy fine beaches, a rich cultural heritage and world-class diving across overwhelming underwater landscapes. 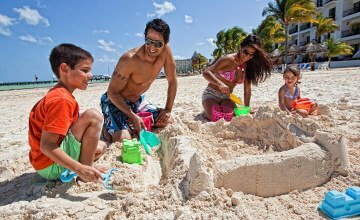 Book your next Caribbean vacation at any of the Royal Resorts in Cancun, Riviera Maya or St. Maarten and Curacao islands.